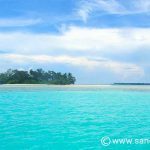 There are 22 kms of ‘road’ between the main port of Karimunjawa and the furthest point north on the island. This is a little too far for walking, and there are no buses or taxes as such. 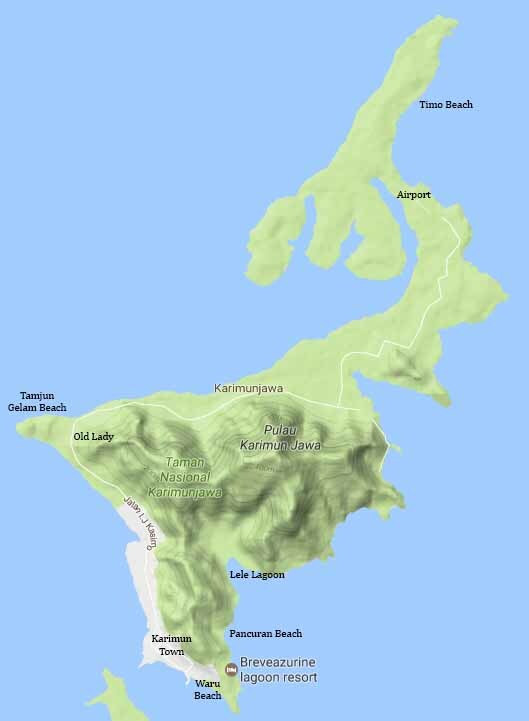 So unless you pay for a guided tour, the only viable way of discovering the island is with a Karimunjawa scooter rental. 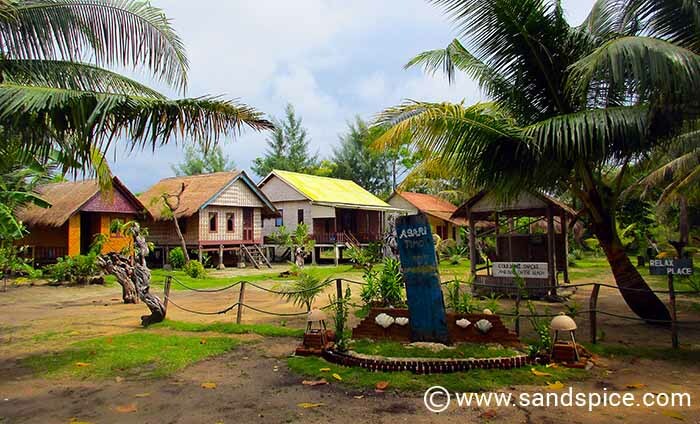 Almost all accommodation options in Karimunjawa are close to the port. This means that at some point you’ll likely be heading out to discover what the rest of the island has to offer. 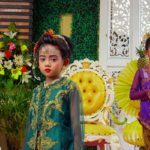 You can hire a scooter for IDR 700,000 per day (€5). For a return trip around the island, you’ll need 1 litre of petrol and plenty of air in your tyres (our scooter had neither). Extra air and petrol cost us another IDR 10,000. You can hire a scooter from almost anywhere – the prices are the same. We hired ours from Jon at SeaSky, on the corner of Jl Pelabuhan Baru and Jl Jend. Sudirman, not far from the harbour. 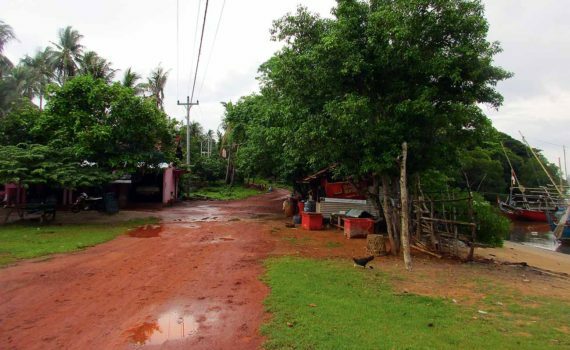 The roads around the island are good to begin with, but deteriorate in places to slippy, muddy tracks. In late season it tends to rain suddenly and heavily, which makes scooter travel much more hazardous. There’s really not that much to see during one of these journeys. 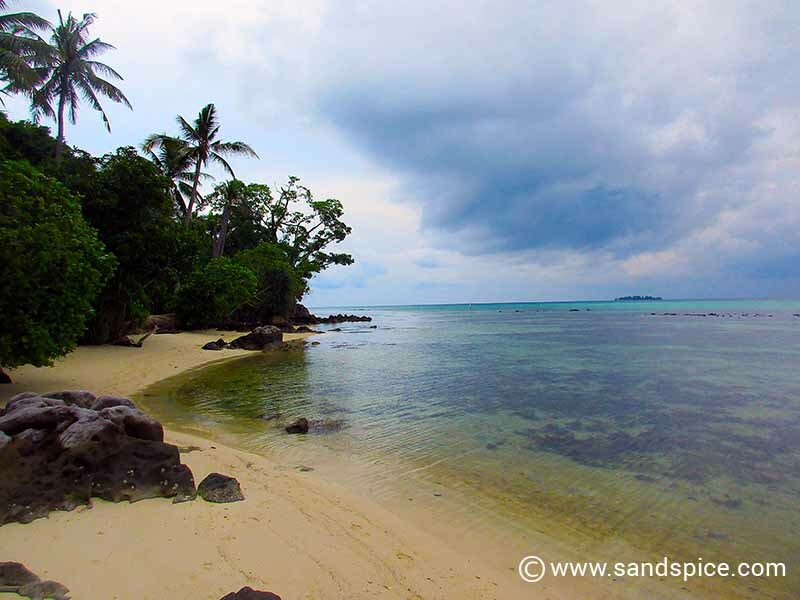 The main purpose is to get to one of the secluded beaches on the west and north-eastern sections of the island. There are a couple of nice beaches on the far western point of the island: Tamjun Gelam beach and Batu Topeng beach. It takes around 20 minutes to get there when driving north from Karimun town. Watch out for a small turning on the left as the road veers to the right. There you’ll find an old lady sat next to a small stall. You’ll need to pay her IDR 14,000 ‘environmental tax’ before carrying on westwards up and down a narrow track for around a kilometer or so. You eventually reach a clearing where you can park your bike. The beaches are off to the right. There are a few stalls/facilities here, but they’re not always open so best bring your own water and picnic if you plan to hang around. As you carry on up to the north of the island you’ll find the small airport. The airstrip is small, currently suitable only for lighter aircraft. However, we could see they were excavating further north to extend the length of the runway. 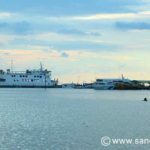 As soon as this work is completed and larger planes start coming in, Karimunjawa will change dramatically – and probably not for the better. 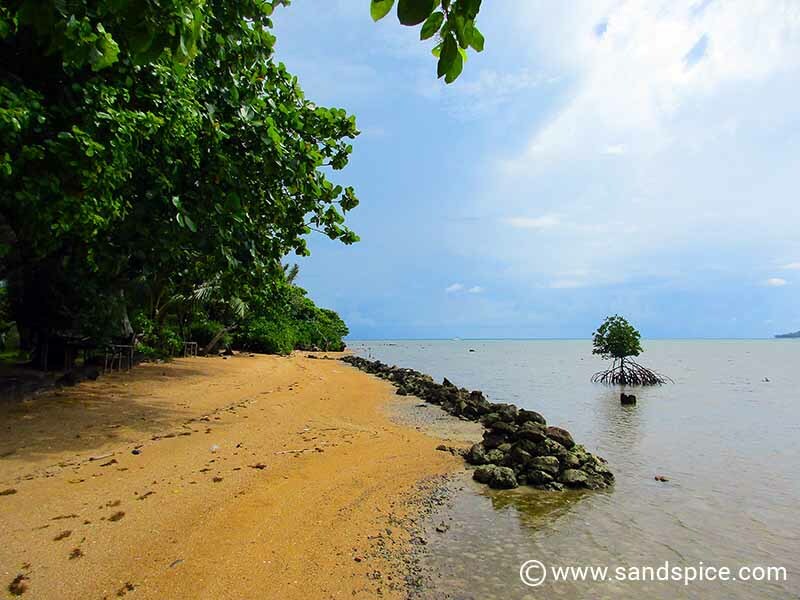 Further north from the airport you can visit Timo beach and the nearby Asari Guesthouse. It takes around an hour to motor up there from Karimun town. The Asari Guesthouse has just two or three lodges to rent, and is very secluded and private. Great if you really want to get away from it all, but there is nowhere close by to get supplies. Timo beach is well worth the visit. You’ll almost certainly have the place to yourself. As with other remote beaches on the island, just remember to bring your own supplies. Along the route up north, we discovered what appeared to be the inspiration for the well from the movie ‘The Ring’. Obviously, we couldn’t resist this photo opportunity. It had been quite a while since I’d driven a scooter – around 20 years or so. Apart from being a bit more wobbly than I remembered (yes, I know its the age), it all went pretty smoothly until we hit the very narrow tracks where you have to dodge around the potholes. Going slow doesn’t really help. Everything now is electric transmission (what happened to the kickstarts?). Just press the button and you’re ready to go – you don’t even have a manual gear-change. The one thing that stumped me was that the starter doesn’t work until you’ve raised the kickstand! 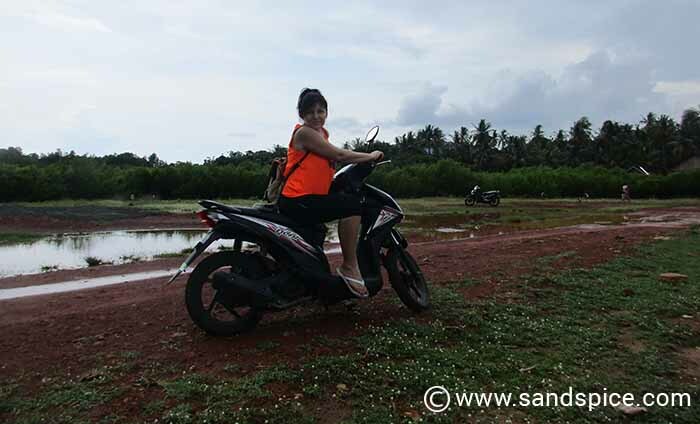 A one-day scooter rental is all you will need to visit the more remote areas of Karimunjawa. There are a few more locations to visit on the south-east of the island – Lele Lagoon and Pancuran Beach – but these places can easily be reached by foot.